The NEPP document would not have seen the light of day if not for the efforts by a group of volunteers who worked with Dr. Dr. G.B. Gunawardena, the Chairman of the Committee to Draft a New Act, to complete the document. The Gunawardena committee ran out of money midway and the work of the committee ground to a halt. 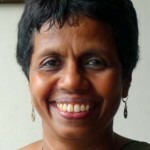 Volunteers led by Upali Chandrasiri, a civil society activist, worked day and night with Dr. Gunawardena, even spending money out of pocket, to complete the document. The first and last comprehensive piece of legislation on education in Sri Lanka was enacted as far back as 1939. Since then several acts were passed for specific purposes such the take-over of schools (1960 and 61), Public Examinations (1968), Pirivena Education (1979), National Institute of Education (1981), Colleges of Education (1986), National Education Commission (1991) and School Development Boards (1993). To date, the education system has essentially been governed by these Acts and a system of circulars. It is opportune that the government has taken the initiative to update provisions of those acts and consolidate miscellaneous circulars. The lack of a systematic investigation in its formulation is evident in the final form of the NEPP. True, the final document has been through the hands of many experts as well as members of parliament, but, the lack of background information and evidence supporting the proposals is glaring. The present document reads like a wish-list put together by multiple committees. In contrast, the 1943 Report of the Special Committee on Education, with Mr. C.W.W. Kannagara as the principal author, is a dense document with context, data, references and footnotes leading to a tight set of recommendations. In spite of its weaknesses the present proposals represent a milestone in education reform. We should be thankful to those who took the effort. The NEPP lists a large number of stipulations under the themes Goals & Guiding Principles, Structure, Content & Delivery, Administration & Leadership, Education Service Personnel, Standards & Quality Assurance, Resource Allocation, Vocational Education and Pirivena Education. I have tried here to ease out the more salient features concerning Standards, Divisions of Responsibility and Accountability Measures as evident in the report. RIGHTS: Education is compulsory for all children between the ages 5 and 16. Career guidance, psychological counseling and education provision under emergency conditions should be provided to all children. MEDIUM: Mother tongue will continue to be the medium of instruction in primary schools. However, English is defined in the NEPP as the second language for learning and teaching. (Currently for those whom the mother tongue is Sinhala, the second language is their second national Language or Tamil, and vice versa for those whom the mother tongue is Tamil). According to the new proposals, the second national language may be taught from Grade 3 onwards. Those who claim their mother tongue to be English have to study one of two national languages from Grade 3 onwards. Additionally, secondary school teaching and learning has to be bilingual with courses being in the chosen national language and the other courses being in English. Overall. NEPP seem to present a significant change in the language policy. TEACHERS: Teacher deployments should be per specialization per school. There should be a National Code of Conduct for teachers. By 2025 all teachers will be required to have degrees acquired through teacher training colleges; university graduates are required to receive a minimum of 3 month full time training in a teacher training college..
SYLLABI AND CURRICULA: Should be reviewed every five years. It is also recommended that 20-40& of the questions in national assessments should consist of questions that test practical knowledge. Of the proposed standards, the elevation of English as the second language is a significant change which reflects an effort to recognize the role of English as a global language as well as a bridge between the two national languages. Does that make the studying of the second National language optional? It is not clear from the proposals. This is a matter that needs further consideration. The restructuring of schools will inevitably face opposition from elite schools and religion-based schools wanting to maintain their current Grade 1-13 structure, but, this should be a proposal that should receive bipartisan support. As for the degree requirement for teachers, it can backfire if all teachers take the easy way out with a Bachelor of Education degree without adequate subject knowledge. A preferred route would be to hire teachers on the basis of the competency in a subject followed by training as a teacher. The responsibilities of each level of government are clearly stipulated in the 13th amendment to the constitution. The amendment delineates all educational functions such as provision of facilities, supervision of all educational personnel except the appointment of principals to Category I Schools or schools with Grades up to 13 to the provincial authorities. National policy making, syllabi and curricula, examinations, the training of teachers and the administration of national schools and other specialized schools come under the purview of the national government. The central government has also taken upon itself the responsibility of producing and distributing text books although the 13th amendment gives the power to the provinces. The Central government also centrally handles distribution of materials for school uniforms. It would be useful to restate the responsibilities of each level of government because the NEPP leaves room for ambiguity and in some cases even wrongly assign the responsibility. For example, the guiding principles state that early childhood education should be regulated by a central authority when the constitution specifically gives the power to the provincial councils. The central government can set the standards and monitor the standards, but, the administration and regulation is strictly the responsibility of the provinces. Additionally, in Section 4, the planning of education is said to be a responsibility of the central government. These references should be removed from the NEPP. According to the Appendix III in the 13th amendment the provincial authorities are responsible for developing and implementing education plans. The Central government may develop plans for the system of national schools under its jurisdiction. While administration of education is devolved to provinces, the central government retains the right to inspect and supervise the management of schools in order to ensure standards. In that regard, the Section on Education Standards and Quality Assurance should have received a lot more attention. As is, the report recommends the renaming of the quality assurance unit of the ministry as the Regulation and Inspection Unit and the appointment of a commissioner general to head the unit. In our opinion, the role of this proposed unit should be articulated further and its criticality underlined. For example, the report recommends that an annual report on accounts and performance should be required by the inspection unit from each provincial authority. This is a requirement that needs to be expanded and strengthened. For example, the Quality Assurance and Inspections Unit should also identify Key performance indicators for education in Sri Lanka. The desired attributes in regard to school education that are listed in the NEPP should be further evaluated and listed in the anticipated Act as a guide to these data collection efforts by the Inspectorate. This type data collection and reporting will go a long way in assuring that provinces strive to maintain national standards in education. In order ensure that submissions are made each year and the data are made public, it should be legislatively mandated that the national minister for education annually reports to parliament at a regular time the state of education in each province and publish the information online. This would give the Quality Assurance and Inspections Unit at the line ministry additional clout to demand the required data from the provinces. Such a legislative requirement should also allow the public to compare and contrast the performance of each province and even districts. An interesting recommendation under the Section 6 on Quality Assurance is to incorporate the in-service advisors (ISAs) into the same Quality Assurance and Inspections Unit at the ministry and deploy them province-wide. Currently the ISAs operate under the director of each education division in each province and typically monitor 10-15 schools in each division in regard to one or more subjects. Their incorporation into the line ministry should be done after careful study. The Central Environment Authority similarly deploys environmental officers across the local government and DSD units. The efficacy of that process needs to be studied. In any event, it would be prudent to centrally develop guidelines for ISAs rather than bringing them to the fold of the line ministry. Why not make all three languages compulsory until grade 9 and thereafter allow the students to choose any languages they like based on their higher aspiration requirements. I as a child was sent to learn all three languages and was equally qualified. I could have moved from one medium to another without any issue when I was in grade 9. This in no way affected my ability to study other subjects. This would bring about a common Sri Lankan identity. Park, not all pupils will be the polyglot you are; and neither do we want lots of ‘jacks of all and masters of none’. It would be sheer lunacy to expect our children to learn three languages in their formative years. Sri Lankan children should ideally learn Sinhala or Tamil with the other, Sinhala/Tamil, as the second language. It would be highly disrespectful, in my opinion, for a Sinhalese child to have a second language other than Tamil, and vice versa. Other languages, including English, should be offered as an option at say, grade 9. It will also help with raising the quality of the English teaching stock that is currently pitifully variable. It would also be good to raise the investment in the development of the Sinhala language that has been so lacking for all these years. If Sri Lanka doesn’t promote the development of Sinhala, who will? As for English, less than 10% of our population can read, write and speak the language with any degree of fluency and it has been a source of irritation to the others in our country who see its disproportionate influence in our affairs. Incidentally, it would also boost our national language if the President and the ministers in our government were to give international speeches and interviews in Sinhala. We do have translators, don’t we? It would be nice to not have to cringe when our chief speaks. Park that is a very good suggestion. In fact much better that the sum total of all proposals in the article ! No one has the guts to make a stand on the fact that Language is the key factor in getting an education. An International language English, French, German is a must and not just a passing knowledge but a through understanding of the language. Religion should not be taught in schools, as religion divides people more than language or race. Religion should be a matter of personal choice by each child when he/she attains the age of reason. Each child should learn the mother tongue and english from Grade One. From the fifth standard,all subjects must be taught in english. Only then,will the nation progress as english is the portal to all knowledge of mankind. This was the policy in the forties,until Sinhala Only ruined the nation. As I have not read the new education policies and proposals I am not in a position to draw the reader’s attention to its shortcomings or make a complete evaluation.Yet as the writer has not made any view on the following areas I would like to draw the attention of the writer, the readers and those who are interested/worried in education in Sri Lanka to them. 1 Enrollment of students to schools. It is one of the biggest unresolved issues in education.Due to shortcomings in relevant circulars it has led to chaotic situation every year.Some parents enroll their students by giving bribes to relevant parties.While the child who lives next to school is denied of the opportunity in learning there a child of a past student who lives many miles away is accepted. How useful and relevant are the subjects the students are taught by force at schools to the needs of today and tomorrow?Once the children are out of school, many subjects become irrelevant and useless.it seems that the committee has not made recommendations for subjects/skills/competencies that meet the needs of today and tomorrow. From grade 3 to university education is examination centred.As a result children spend till 1.30 at school and from then on till evening they suffer at tuition centres almost daily. Only a few go up the ladder but languish years without employments. There are many students who are talented in many areas but are not evaluated.There are many who fail in exams but bright in many skills and leave school without a certificate. It is one of so many tragediesof education in Sri Lanka. At lower level many unqualified so called sirs teach at private tuition centres. At recognized private education centres they charge exorbitant amounts.These places have to be under the supervision of the education authorities and only qualified persons should be allowed to teach.why hasn’t the committee paid attention to this? Has the committee made any recommendations with regard to the above matter? Some politicians have been able to divide people on ethnic lines and make them hate each other.This has been easier for them as our education does not play a significant role in moulding a Sri Lankan citizen. As Park says all three languages are now being taught in primary schools from Grade 3 onwards. Even in lower grades and children seem to respond well. The ministry should do an evaluation of the current efforts before mandating all three for any grade. In a survey carried out in the EU they found that Catalan folk who studied both Catalan and Español picked up English very quickly while the folk of Madrid who studied Español had difficulty mastering another language. In Belgium they study Flemish, French, German and English. The industrious hardworking Flemish living in Flanders know all these languages pretty well but the folk on the French side speak only French along with also the French speaking immigrants and that created the problem which has been resolved by the king. It’s always helpful to know other languages especially when one travels. In Europe if you and I speak in English we will not get much of a reception but when an Englishman does they communicate. Only in our country it divides people because of the cry that Sri Lanka is a budhist country. Teaching all religions,christianity,budhism,hinduism and the moslim will be the wiseset thing to do to bring up our children that we should advocate religious tolerance and that this will be the key word to happiness. Our people should change their attitudes towards any one religion. we teach them at a very young age to respect all releigions. Therefore comparative religion should be kept to a higher level or let them read Harry Potter. Even though the world is full of pedophiles (I don’t mean the nuns) everyone wants to be admitted to a catholic school for its discipline though politicians worldwide have destroyed these. What about us Agnostic folk. Our schools have failed miserably at teaching English to its students.Less than 40% pass at the O/L but only a few of them can communicate in English. At the A/L examination results of the General English subject is negligible as A/L students pay scant attention to English.In universities the majority of arts stream undergraduates pay no attention at all in learning English.Once they leave universities what they have learnt is useless for the needs of the society. Whose fault is this? It is none other than the policy makers who are accountable for this tragic situation. If the following steps are taken by political authorities as well as the decision makers in the Ministry of education within 7 years Sri lanka education institutions will be able to produce students who are proficient in English in mass scale. 2 Make a credit pass for English language at O/L compulsory for A/L education. 3 Make a credit pass in English at A/L compulsory for university education. 4 Make English language a compulsory subject for university students. mention the marks they received for English at the final examination in the degree certificate. Some of your suggestions are harsh on students from rural areas. Your item 3 will bar those students from entering higher education. The present university currivcula must change to accommodate wider subjects or modules. Instead of present 3 or 4 subjects there must be 6 to 8 or even more modules that constitute the courses. There can be double models for certain core subjects, compulsury modules and optional modules with projects to widen the knowledge and self-teaching. English must be made a compulsory module for degree students. Students at school do not get equal opportunity but those at universities do. As it is most graduates are no good except for teaching unnecessary subjects. The result is unemployable graduates produced by tax payers or borrowed money. The present system increases the so called literacy rate but reduces the common knowledge. Sorry I can’t agree with you.If English is compulsory they will learn it as there are English teachers everywhere in the country.There are 22000 English teachers in the country.Just think of the interest the O/L students show in learning in maths. Of course, there is a dearth of maths teachers in some rural schools,yet the students of them try to learn it from private teachers as it is a compulsory subject. A/L students travel miles for tuition as their aim is to enter a university.One learns a language only if there is a need.our students do not learn English because they without it they can continue their education without English. Our students do not learn English because they can continue their education without English. Qualifications of the Principals, Hostel Warden, Disciplinary master needs to spelled out. All of them should have a degree related to Education/ Child Psychology. In the code of ethics there should be restrictions for Principal, staff and students to participate in political “Thamashas” while maintaining their rights to engage in politics outside school. Both party politics and religion should be separated from School. Instead of teaching one religion philosophies of all religions in general be taught at school without prejudice to any religion. Students should be encouraged to look at a topic from different perspectives. Different education methods should be adopted other than teachers giving notes and lectures. Students should be encouraged to actively get involved in the learning process than mere recipients of knowledge. They should have a voice in how the school activities are managed including a say in establishing discipline. Memorizing facts and figures have to be discouraged and should not be a part of the exam process. Critical thinking and creative thinking should be encouraged. Students who raise questions in the class should be rewarded and adequately replied and responded to. Extra curricula activities should not be restricted to enhance the image of the school but part and parcel of every student in the school. 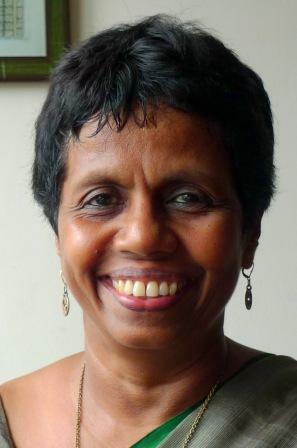 WAW: Tnx Sujata Gamage for bringing out a summary of all the important proposals. While appreciating all the work done by volunteers, I may point out that a glaring omission is the goal of education. Why should we educate a child? To meet the job market requirements which is a valid reason? But education should develop a generation of people who are free thinkers and are able to see beyond so that SL could truly excel in new creations and inventions. For that compulsory religion education will be an impediment since, whatever the religion we learn, we are taught to see only within the perimeter of the religious learning. Or else we should have daring and bold religion teachers like the late Prof Kotagama Vachiswara Thero of old Vidyodaya Uni fame who taught us Buddhism from a different perspective of moving out and look at the religion as outsiders in a critical manner. If education simply produce followers, then we have lost it again. WAW: Tnx Sujatha again for enlightenment. But it appears that 1 is inconsistent with all the other five objectives. When one has multiple objectives to attain, one is handicapped by the absence of relevant instruments to do so as Nobel Laureate Jan Timbergen proved many years ago. A good example of failure was the old Central Bank which too had multiple objectives to attain. In reality, it could not attain any of the objectives! I think if we have only 6, it will do the job because competition will force students and citizens to look after all others including 1 which will be given its relative value as people in practice do it today. This is like JRJ having a Socialist Democratic Republic where we do not have either Socialist or Democratic or Republic now! SG: Thanks WAW. Your comments made me go back to National Objectives of Education in 1992 NEC report. Those objectives have been distorted!! I have only the Sinhala version. It says “ක්‍රියාශීලී ජාතික ඒකාබද්ධතාවක්, ජාතික අනන්‍යතාවක් හා ජාතික සමගියක් ගොඩ නැගීම”,(The development of active national integration, national identity and national unity) It is now split into two statements that don’t fit. Thanks much for pointing out. it is disheartening to see that only a few have written comments on new education policies. It is true only few have written comments on this article. This subject should to be deeply discussed and I think that our country need more educationalists who are innovative in their subjects. Look at our university education still lecturers giving dictation in their teaching and copying from previous years notes or from their professors notes. No innovating teaching is adopted except in some maths and science subjects. look at some of arts subjects teaching is outdated. in His Pedagogy of the Oppressed the famous Paulo Freire notes I quote him here to point out our wrong methods in teaching ( The teacher teaches and the students are taught, the teacher knows every thing and the students know nothing, teacher thinks and the students are thought about, the teacher talks and students are listen meekly….. like that so many things that teachers in our class rooms become dictators and students centred teaching is dead. what SL needs is not so many dead education acts as this writers is boosting rather dramatic shift in teaching pedagogies and methods. what we need is good teacher training programmes such PGCE or new course in BED with school based training not for three months rather for one year course ( school based training with professional studies and subject studies. president has mega cabinet of 58 MPs and He has money to take teams hundreds around the world and yet. No moeny to comple NEPP? what a joke? This NEPP will be one mere bill in the course of time. it is shame to say that NEPP run out of money? it is not personal work of Dr Gunawardne rather it public duty. government should fund this NEPP. it looks incomplete and enaqiuate policies . It should be developed with professional educational proposals.